Summer is flying by and the hard work in the Cyberlab continues. If you have been keeping up with previous posts, we have had researchers in residence as part of our Cyber Scholar program, movement on our facial recognition camera installations, and conference presentations taking place around the country and internationally. Sometimes I forget just how amazing the implementation of unobtrusive audio and video collection methods are to the field of visitor research and exhibit evaluation until I talk to another researcher or educator working at another informal learning center. The methods and tools we are applying have huge implications to streamlining these types of projects. 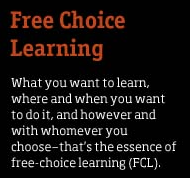 It is exciting to be a part of an innovative project in an effort to understand free choice learning and after a year in the lab, I have gained several new skills, particularly learning by doing. As with any research, or project in general, there are highs and lows with trying to get things done and working. Ideally, everything will work the first time (or when plugged in), there are no delays, and moving forward is the only direction. Of course in reality there are tool constraints, pieces to reconsider and reconfigure, and several starts and stops in an effort to figure it out. There is no Cyberlab “manual” – we are creating it as we go – and this has been a great lesson for me personally when it comes to my approach to both personal and professional experiences, particularly with future opportunities in research. Speaking of research, this past week I started the data that will go towards my Master’s thesis. As I am looking at family interactions and evidence of learning behaviors around the Ideum touchtable, I am getting the chance to use the tools of the Cyberlab, but also gain experience recruiting and interviewing visitors. My data collection will last throughout the month of August, as I perform sampling during morning and afternoon hours on every day of the week. This will allow for a broad spectrum of visitors, though I am purposively sampling “multi-generational” family groups, or at least one adult and one child using the exhibit. After at least one minute of table use, I am interviewing the group about their experience using the touch table, and will be looking at the footage to further analyze what types of learning behaviors may be occurring. Posted in Research, Research Tools, Visitors.